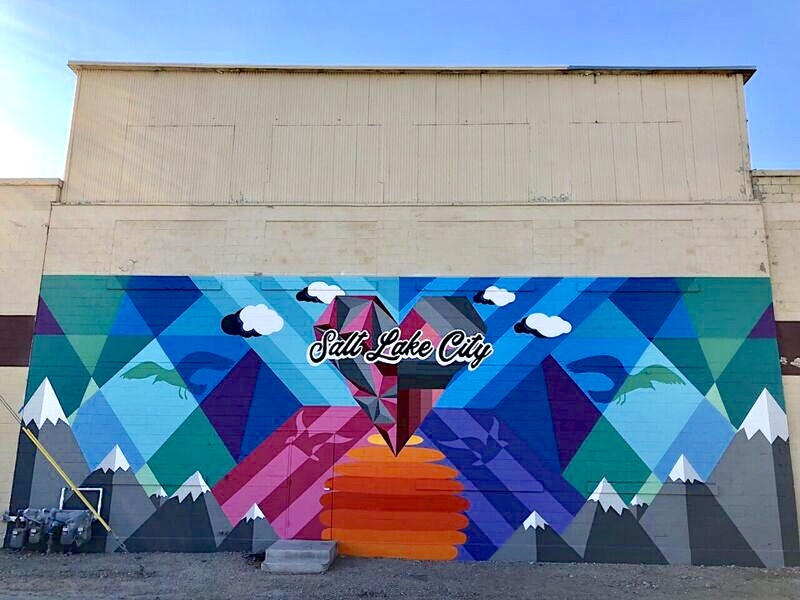 The team took a trip out to Salt Lake City, UT this past September to paint a new piece of art for the INDUSTRY folks. 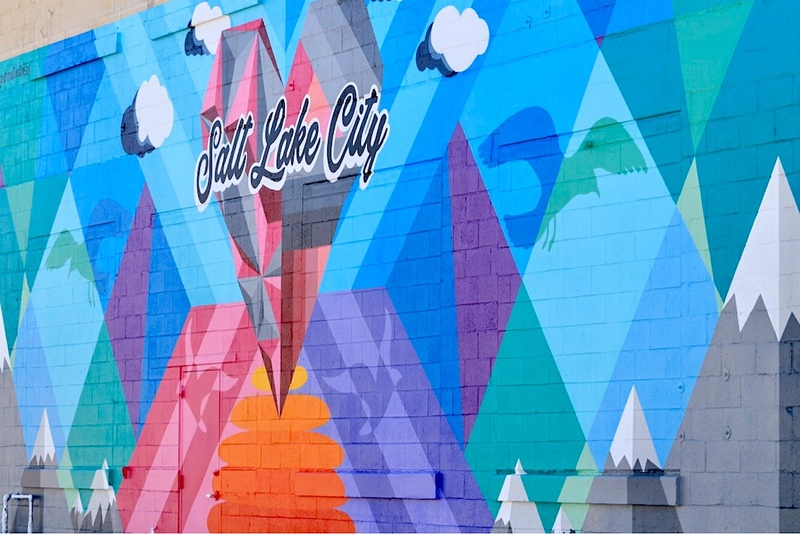 Comprising of a full city block, the new INDUSTRY building aimed to replocate the success they had in Denver to SLC. 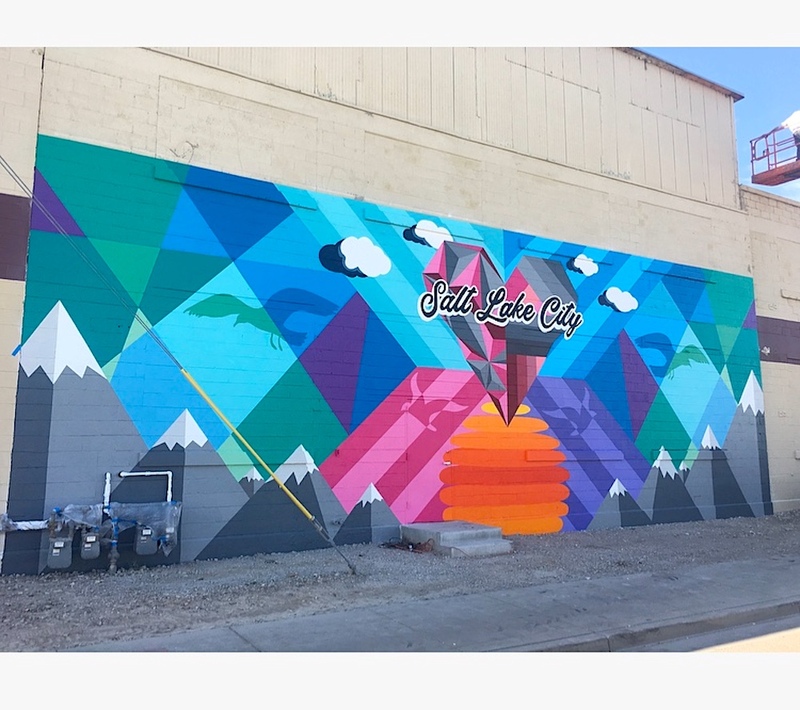 The piece is a twist on So-Gnar's "Love This City" series, remixing the geometric heart and adding in some SLC flavor. Designed by Pat Milbery and Pat McKinney and painted by Milbery, McKinney, Josh Deitchman and John Hastings.